You have decided to take on a business loan but while reading the agreement or scrolling through the pages of information related to the loan you come across terms that you have no idea about. For a business owner knowing all the terms of a loan is not always possible and sometimes leads to confusion. For example, you read the term ‘Consolidation’ and assume that to be the business term consolidation which means while presenting the accounts of a company it includes all the companies under the parent company but in the loan sector the term consolidation has a whole other meaning. 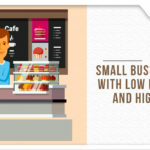 Consolidation in business loans means when you take up a business loan to pay off existing small business loans. Now, this could lead to great misconception and could make a loan go awry which is the last thing on your mind. Knowing all the terms of a business loan is essential not only for knowledge purpose but also to ensure you are on the right track while taking on a loan and know what the loan jargons mean. Being fully aware of what you are getting into through the lingo is also essential as it is then impossible for anyone to fool you, and you know what you are getting yourself into. So let’s just dive into the matter and understand all these complex terms which you’re then going to use at the tip of your finger. The list followed in no way covers all the terms out there and is not a complete define list, it does, however, fulfill the most common terms you will come across while taking on an SME business loan. It is a good start. Amortization – This is one of the most common terms you will come across in regards to topics related to loans. Amortization in terms of a business loan means the different ways a borrower can pay back the loan. If amortized, the borrower will pay back the loan in timely scheduled payments like EMI’s. Accounts Payable and Accounts Receivable – Accounts payable is the money that you owe to someone and need to pay off. Usually, accounts payable is short-term debt. Accounts receivable is the opposite of payable, in short, the money that people owe to you. Bullet and Balloon Payments – Talking in regards with amortization, a bullet amortization plan is when you pay a part of your interest and principal together while paying your scheduled payments. Balloon structure is when you pay the entire principal amount at the end of the tenure of the loan. Five C’s – While taking on a business loan, the lender looks at some essential points which are commonly known as the Five C’s. Capacity – This looks into your repayment capacity, how capable you are of paying the interest payment and principal amount on time. If you have asset rich or have outstanding huge amounts of debt, they matter the way the lender looks at your capacity. Character – Your credit score is what is looked at here. Along with, if you have repaid earlier debts on time, conduct business efficiently all affects your character. Collateral – While taking on large sums of debt, a lender looks at the collateral you are taking the loan against. Collateral is what you give up in case you are unable to pay back the loan. Collateral could be a house, car, jewelry etc. Capital – The lender looks at the kind of money you are looking to borrow and whether that much is required by your business or no. Along with the lender also looks at your existing capital and assets. Confidence – If you do not come across as a confident entrepreneur or someone who is not comfortable doing the business or knows all the know-how, it rings an alarm for the lender. Debt Financing – This term is just a fancy term for the word loan. Debt financing in simple words means any sort of capital that is raised and needs to be paid back within a certain amount of time at a certain rate of interest. EBITDA – Earnings before Interest, Tax, Depreciation, and Amortization is one of the very important ratios looked at while doing a business and even taking on a loan. The EBIDTA helps in indicating the financial health of the company. Fixed Interest Rate – A fixed interest rate is a rate that does not change during the entire time of the loan. It stays the same no matter what the market conditions are. Floating Interest Rate – As against a fixed interest rate that does not change, a floating interest rate is usually between a band rate or a variable/adjustable rate. A floating rate can be beneficial to the borrower during falling rates and beneficial to the lender during rising rates. Line of Credit – A line of credit is on similar lines like a credit card, which helps you spend money up to a certain limit and later pay back the money spent along with interest payments. Check out the line of credit for loans at Flexiloan by clicking on this link. Loan Agreement – The document that you sign at the end of fixating everything is known as the loan agreement. The loan agreement is the official document that contains all the details about the loan along with the tenure, capital, interest rate etc. Maturity – Maturity is the time period for the loan after which the loan expires. Once the last payment has been made the loan is said to have matured. Prepayment and Prepayment Penalty – Many times the borrower wants to repay the loan beforehand, this feature is known as prepayment. As prepayment disturbs the calculations of the lender, there is usually a penalty charged that is to be faced while paying the loan earlier than expected known as the prepayment penalty. Principal – Principal is the actual full loan amount that the borrower has taken from the lender. If your loan is Rs. 10 Lakh then the principal amount of the loan is Rs. 10 Lakh. P&L Statement – The profit and loss statement is a numerical representation of the financials of the company. How much money is the company making, what is the interest paid, contains details about depreciation, taxes, in short everything. Refinancing – This practice is very common and happens during changes in rates. Refinancing is when a new better loan is taken with better interest rates to pay off the earlier loan. Short Term and Long Term – The tenure of a loan is usually divided into two categories with short term and long term loans. Short term loans are for a period of 3 years or lesser, while anything above 3 years is a long-term loan. However, this can differ according to company to company or nation to nation. Tenure – Tenure is another fancy term for the time period of a loan. It shows how long the loan is for. Unsecured – Now with loan space evolving to new bounds, lenders are providing unsecured loans to ease your loan application process. Unsecured loans refer to a loan with no collateral against it. Working Capital – Working Capital is the amount of money required to run the day to day business for sales an inventory of your business. Want to read more and in-depth about working capital? Read our blog only dedicated to working capital. Now that you know what most of the common terms of a business loan mean, what are you waiting for? Click here and apply now for the business loan you have been waiting for and watch your business grow to the dreams that you wanted it to be.